A DECISION over plans to build new homes on a former holiday park in Bracklesham have been delayed for the second time. The recommendation was deferred at Chichester District Council’s planning committee on Wednesday. 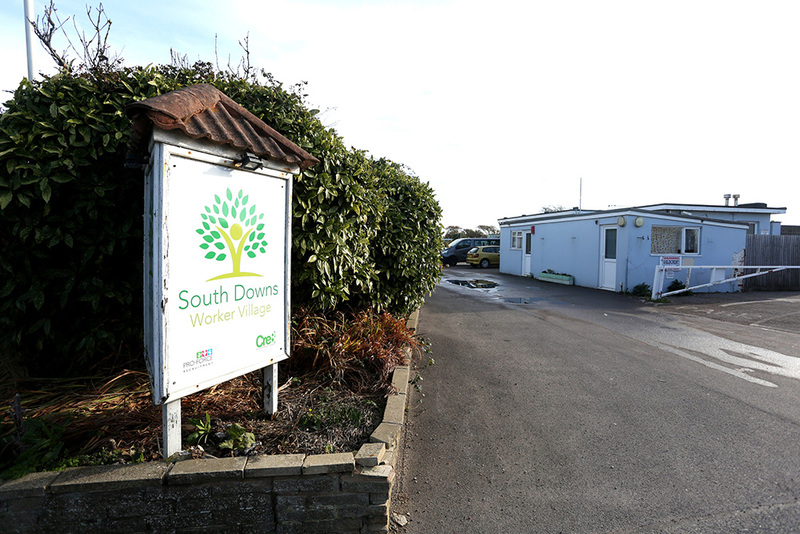 The former South Downs Village Holiday Park in Bracklesham Lane has not been used for its intended use as a holiday park since January, 2017, and has been used as temporary accommodation for agricultural workers. Planning permission was granted in December, 2017, for temporary accommodation for 300 workers for one year. The item was withdrawn from the agenda of the September committee meeting in order to address issues relating to the proposed Clappers Lane access to the site. The application by Seaward Properties is for 85 new homes on the South Downs Holiday Village site of which 30 per cent (26 units) would be affordable homes. The proposals entailed removal of all existing buildings and structures on the site which includes flat-roofed single- storey holiday chalet blocks. East Wittering and Bracklesham Parish Council objected to the planning application originally but confirmed in the meeting it now supported the plans. Brian Reeves, from the parish council, said members now backed the scheme as they understood the site had been extensively marketed for a tourism use. Officers confirmed at the meeting that three regional holiday park operators had shown initial interest but this did not proceed further due to the volume of capital investment required to rejuvenate the site and the size of the site. Councillors were concerned about the density of the scheme at 40 dwellings per hectare. There was also debate over the illustrative layout showing driveways fronting on to Clappers Lane. Cllr Tricia Tull said: “I think there is no doubt about it that the investment required to bring this site back into holiday use would probably be enormous. Members agreed to defer the application for negotiations with the developer on the illustrative layout.